With Merge Duplicates Wizard for Excel, you can quickly combine duplicate rows into one without losing any data. 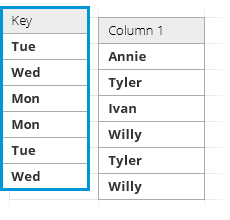 Just specify one or more key columns, select the delimiter of your choosing, and have unique entries concatenated in appropriate cells. 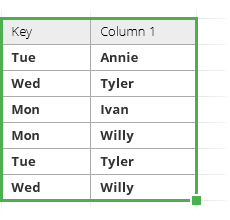 Combine duplicate rows by key columns Select any columns as unique identifiers to merge duplicates in your Excel worksheet. Select the delimiters for the merged values The merged values can be separated by semicolon, comma, space, line break, or any other symbol of your choice. 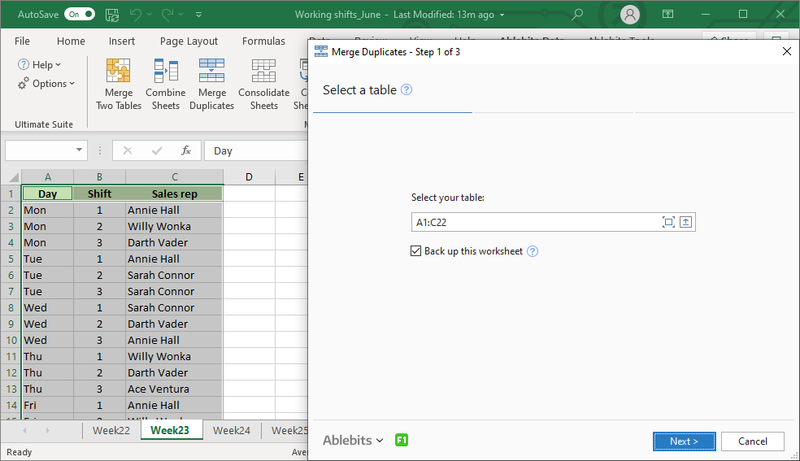 Merge only unique values Delete duplicate values and skip empty cells to get a clear worksheet without any repeated entries. Choose different delimiters for each column Pick one of the predefined delimiters or insert yours to separate the values differently in each column. 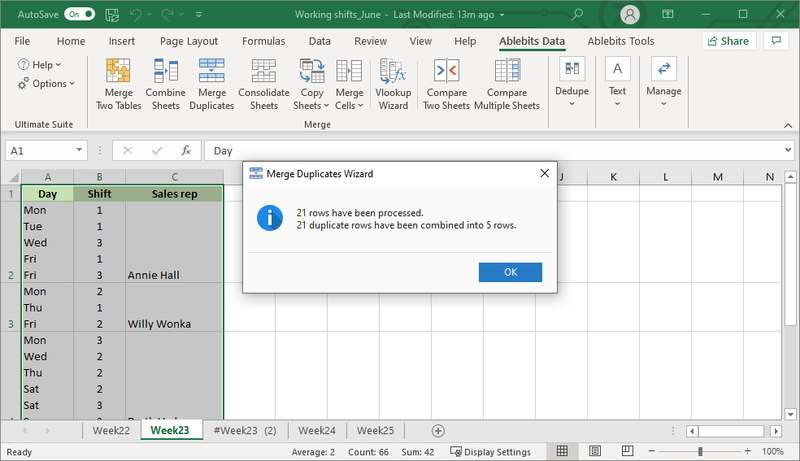 What is Merge Duplicates Wizard and what do I need it for? Merge Duplicates Wizard is an add-in that helps to combine duplicate rows in Excel according to the key values in the columns you select. 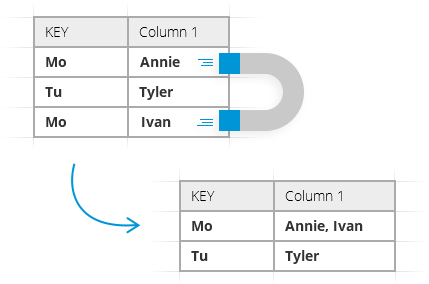 How does Merge Duplicates Wizard work? Does it work for data organized in columns? Yes, Merge Duplicates Wizard works with only column-organized datasets. Does the add-in offer any delimiters for merged values? Yes, you may choose to separate your merged values with semicolon, comma, space, line break, or any other delimiter of your choice. Can I choose different delimiters for each column? 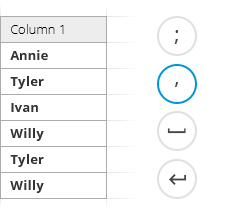 Yes, you will have opportunity to select a delimiter for each column. I would like to see only unique values in my resulting table, is it possible? Yes, to avoid combining repeated values, tick the checkbox Delete duplicate values.